Fiji Water Girl is back; Facebook likely to face more state probes; How brands are celebrating Black History Month; and other news to know. 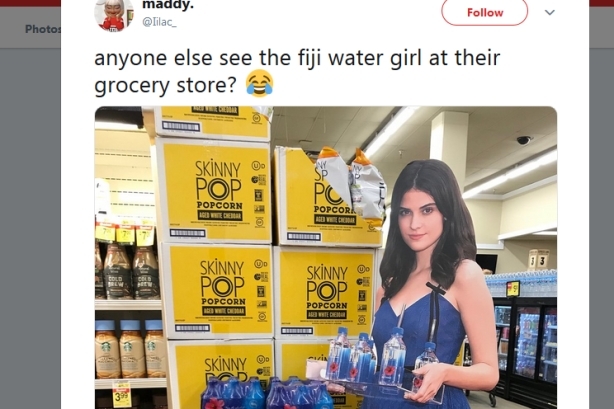 Fiji Water Girl is back in the news. But this time, it’s because she’s suing Fiji Water and its parent The Wonderful Company for creating cardboard cutouts of her viral Golden Globe moment for use in a marketing campaign without her permission, according to legal documents obtained by The Blast. The cutouts of model Kelleth Cuthbert, whose real name is Kelly Steinbach, have been spotted in California supermarkets. One even photobombed singer John Legend. Fiji Water told USA Today the lawsuit is "frivolous and entirely without merit." Facebook likely to face more state probes on privacy issues. The social network has become the target of at least three more state probes -- by Pennsylvania, Illinois, and North Carolina -- into the alleged mishandling of user data, expanding the number of government agencies investigating privacy-violation claims against the company, according to Bloomberg. Today marks the beginning of Black History Month. To celebrate, Ancestry created a moving film showing six strangers how they’re connected via the Underground Railroad; Macy’s is honoring long-lasting legacies with special events in its stores; and free screenings of "Black Panther" are being shown at 250 participating AMC theaters nationwide. Amazon’s growth is slowing. In Q4, the company’s holiday quarter sales hit $72.4 billion, up 20% from the same period a year earlier. That pushed Amazon's annual revenue to $232.9 billion. However, its 20% sales growth for the quarter was well below the 38% growth it saw in the same period a year earlier, according to CNN. Why did a PR firm pen an open letter to Neil Patrick Harris? Bospar wants the actor to stop calling San Francisco "San Fran." Here’s why.